In this continuation article to the discussion on Don Jose Oyanguren, we shine further light on the wife of Davao's founder, Doña Luisa Azaola. Like many of the women of history, her story has been almost forgotten and what has been remembered has been relegated to legend and fantasy. Current Davao historians continue to hold the belief that she was, for years, the "lady love" of Don Jose Oyanguren and was only able to marry him upon his deathbed. Nothing could be further from the truth. This belief of a deathbed marriage, romantic as it may sound, is based on the wrong translation of Oyanguren's burial certificate. Most church records were written not by the Spanish friars but by locals called escribanos or fiscales. While many of these men were most likely of some mestizo Spanish ancestry, the general requirement was a basic grasp of the Spanish language and naturally the ability to write. Such a job was not as difficult as it may sound as most church records were in templates. Don Jose's burial record was written in a manner that lacked punctuation marks such that what should have been "the cadaver Don Jose Oyanguren, an adult Spaniard, married to Doña Luisa Azaola, the day before" was written in the record like this "the cadaver Don Jose Oyanguren an adult Spaniard married to Doña Luisa Azaola the day before". In burial entries, it must be remembered that any reference to time or day other than the date of burial which appears at the very beginning of the entry actually refers to the actual death of the cadaver. Thus the Spanish entry "mismo el dia antes ala una y media". But, because of the lack of punctuation, historians assumed Don Jose Oyanguren only married Luisa Azaola the day before! The story of Luisa Azaola that has been known to most Dabawenyos is the story that has been passed down in the Suazo family. The Suazos, one of the founding families of Davao, are the primary source of the love story of Oyanguren and Azaola. In the article Conquest in the Name of Love, writer Antonio V. Figueroa cites the Suazo family tradition and writes that Maria Luisa Azaola and her brother Antonio, both Spanish orphans, were living in Sigaboy when she met Oyanguren. It was in one of his sorties in Tandag that he met Luisa, the daughter of a capitan general by a local resident. The two agreed to live together as partners because Oyanguren, a Catholic, could not marry her because he had a wife in Spain. She later bore a son by a man surnamed Monteroso whom she married years after the Basque colonizer had died. Figueroa's other writeup on Oyangure, HISTORY OF DAVAO – Oyanguren and Magsaysay, further mentions that "On his deathbed, Oyanguren, according to records at the San Pedro Cathedral archives, married Maria “mismo el dia antes ala una y media” at 1:30 in the afternoon of Oct. 10, 1858, on the day before he died. Fr. Celedonio Pardos solemnized the nuptial, presumably with the confirmation that his first wife in Spain had died." Aida Rivera-Ford's book on Oyanguren states briefly that "on October 10, 1858, he died a broken man. It is recorded, however, in the archives of San Pedro Cathedral that a death-bed marriage took place the day before his lady-love Maria Luisa Azaola." The basic facts here are: Oyanguren's love was named Maria Luisa Azaola who had a brother Antonio and both were the children of a a captain general by a local. By the time Oyanguren and Azaola met, both she and her brother were orphans. They lived together as common-law man and wife since Oyanguren had a wife back in Spain and they only married on October 10, 1858, a day before he died. One of the things that historians have gotten wrong about Azaola right off the bat is her full name. There never was a Maria Luisa Azaola. Oyanguren's wife was named Luisa Florencia González de Azaola y de los Reyes. She later shortened her name to Luisa Azaola and even records from the the San Pedro Cathedral do not even mention a Maria Luisa Azaola. It has always been Luisa Azaola. Luisa Florencia González de Azaola y de los Reyes was born on June 19, 1824 in Binondo, Manila to Íñigo González de Azaola and María de los Dolores de los Reyes y Monterroso. Íñigo González de Azaola was a peninsular who was born in Burgos, Castile and León, Spain who held several positions in national government: he was Abogado de matrícula de la Real Audiencia de Manila, Agente Fiscal de Hacienda (1805-1808), Corregidor de la provincia de Tondo (1808-1813), Alcalde mayor de Camarines (1809-1814), Juez de alzadas (1823-1824), Asesor de rentas (1824-1827), Asesor General de Gobierno (1824-1827), Ministro de la Real Audiencia de las Islas Filipinas, Consejero de su Majestad, and Oidor de la Real Audiencia y Chancillería de las Islas Filipinas. While Luisa's last name has always been Azaola, in the complex Spanish naming system the original surname of her family was actually González. 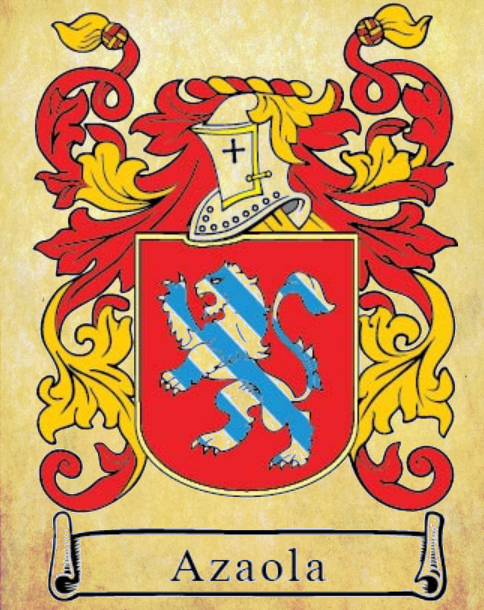 In fact, the Azaola surname came from Luisa'a paternal grandmother, Damiana de Azaola Bolumburu, which can be traced back to as far as the early 1500s in Orozco, Biscay, in the autonomous community of Basque Country in northern Spain. Obviously, the story about Luisa's father being a captain general was also false. However, the Suazo family have gotten it right that the family of Luisa was prominent. And since Luisa's father, Íñigo González de Azaola, died only on November 7, 1850, Luisa could not have been an orphan when she met Oyanguren. In an earlier research I originally was unclear whether or not Luisa had, indeed, a brother named Antonio. The very extensive and well-researched Azaola family tree does not show any brothers for Luisa. She only had sisters whose names were Nicolasa Francisca González de Azaola, María de los Dolores González de Azaola, María Camila González de Azaola, and María de la Concepción González de Azaola who were all married and have left descendants today. However, since many of the legends about Luisa Azaola do have basis in reality, I decided to check on Antonio further. True enough, digging into other family trees on line, I discovered another family that had the Azaolas in their tree. The Seminario de Genealogía Mexicana, though incomplete in its documentation of the Azaola family tree, lists an Antonio González de Azaola Reyes as a brother or a Luisa Florencia Emiliana González de Azaola Reyes and who died in 1844. So from this tree alone we can conclude that the legend of Luisa having a brother named Antonio is true. So When Were Oyanguren and Luisa Azaola Married? Even though historians have always insisted that Jose Oyanguren married Luisa the day before he died, no such record exist. And how could there be, when in reality Jose and Luisa were already married way back on September 5, 1843, at the Parroquia del Sagrario, Intramuros, Manila. That is why Jose Oyanguren's burial record stated casado con Luisa Azaola, which indicated he was already married to her when he died. For whatever reason, Jose and Luisa did not have any children. After Oyanguren's death in 1858, Luisa returned to Manila and three years later, on February 11, 1861, she married José María González y Brenes. They had the following children: Vicente González y González de Azaola, Zoila Dolores González y González de Azaola, María del Carmen González y González de Azaola, and José María González y González de Azaola. 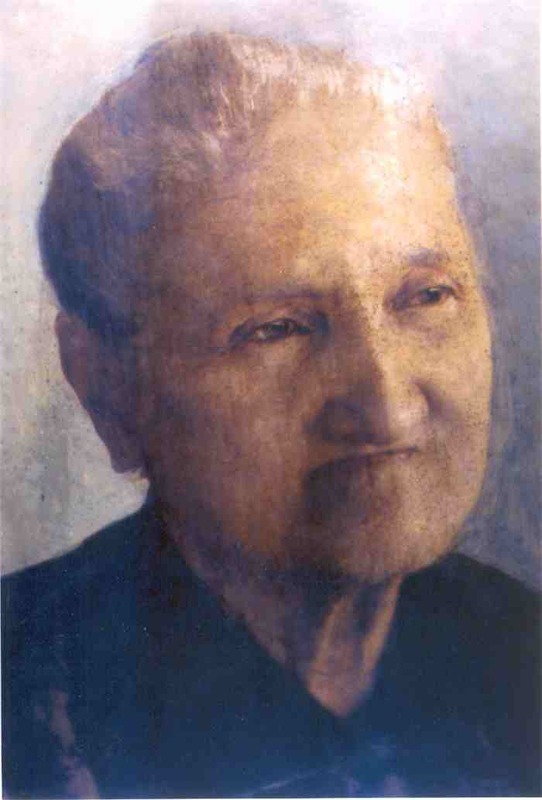 Luisa died in Manila at the age of 76 in the year 1900. Maria Angeles Cacho González de Azaola, a great-granddaughter, married Carlos Romulo, Jr., son of Filipino diplomat Carlos P. Romulo. Could it be possible that our family is related to Don Jose Oyanguren? Oyanguren had been spelled diffrently all throughout these years (Uyanguren, Oyangorin, Oyangurin, etc.) but we are from Bukidnon and have lot of relatives in Davao.